Highlighting some of the best tech-related events, meetups and more each month in Bristol and Bath! Welcome to TechSPARK’s events round-up, summarising the upcoming digital, startup and tech events in Bristol and Bath! Sponsored by SETsquared Bristol, Hi-Tech Incubator. Love a bit of social and online? Online Influence Conference (OiConf) is coming to Bristol this month with an armful of online treats for your business. Turning training days and overdone expos on their head, OiConf aims to deliver world class content on and offline. The event will see masterclasses on the rise of the chatbot, workshops focusing on messaging apps, panel discussions with industry leaders in the tech sphere and networking over a drink or two (or three). Find out more about the Online Influence Conference and get your tickets. The extremely popular (and free) Digital Gaggle Conference is back. And, this time, the event aims to help you throw away tired clichés and brush up on your customer journey strategy. With a selection of impressive speakers and the thought of a bacon sarnie thrown in for good measure, this event is sold out. But you can still join the waiting list – you might get lucky! Find out more about the Digital Gaggle Conference and join the waiting list for a free ticket. Whether you’ve just moved your business to the area and would like to build your network, or if you’re well established in the region – feel free to pop down, have a coffee courtesy of those lovely people at the Guild Coworking Hub, and also a friendly chat. The forum is there to connect people, spark ideas and create introductions. At the very least the BathSPARK team will be there to have a chat and help connect you to the right people! Join BathSPARK for free to sign-up to attend Coffee and Networking at the hub. Bristech runs monthly tech talk nights in Bristol, regularly attracting over 100 local techies, as well as the tech-curious. This month its audience can expect to hear from local experts on machine learning, artificial intelligence and open-source resource, Storm-Crawler. It’s no surprise then, that this meetup is already full. Find out more about Bristech and join the waiting list for the October talks night. If you’re a lover of playing with open data to solve community challenges, this event will be right up your street. Connecting Bristol invites attendees to the Bristol Open Data Challenge for a whole day of helping to solve some of Bristol’s transport challenges, using the Bristol API. Not only will attendees have a shot at improving their city, they’ll also be fed and watered for free and have a shot at winning some top prizes, including £100 in cash. Sign up for a free ticket to the Bristol Open Data Challenge via the Eventbrite page. South West Founders is a monthly meetup for people based in the South West who have been, are, or want to be tech startup founders. They welcome entrepreneurs and tech investors with open arms, as well as those who have a genuine interest in founding or mentoring startup businesses. Check out the South West Founders and RSVP to their October meetup. Website Surgery is a monthly workshop run by Lawrence Tilley of Bath-based web design agency, Design for Digital. This month Lawrence will be discussing how to set-up and manage successful Google AdWords campaigns for your business. Register via Eventbrite for a free ticket to Website Surgery. With Bristol about to become the European City of Sport, it’s about time for us techies, tech-curious, founders and entrepreneurs to get involved, get on their bikes and talk tech! The cycle ride will be led by Rich Keith of Yogscast fame, an avid techie, original TechSPARK member and super keen cyclist. Find out more about TechRIDE by joining the TechSPARK Bristol meetup group. Digital Makers runs every Saturday to teach coding to children from school years 5 to 9 through fun and interactive sessions including designing interactive emojis, writing digital stories and more. The meetup is completely free but they only have a limited number of laptops and tablets so bring your own just in case. Register your child for a place at Digital Makers here. 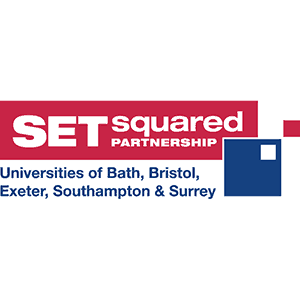 SETSquared, the global no.1 university business incubator is running this event for anyone who’s thinking of setting up a technology business and would like to find out more about what support services SETsquared can offer. 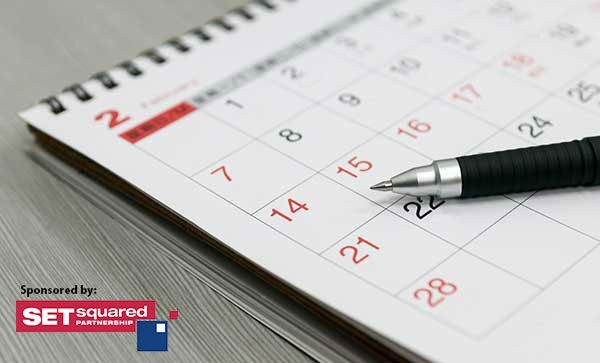 Your idea may be very early stage or you might have a fully formed business plan – either way this session will help you understand whether you’re ready to quit your day job and if SETSquared can help. See more of what’s involved in SETSquared’s #Idea2Pitch event and apply for a place. Building the right team is a critical aspect of scaling your business but deciding how much you need to pay to get the right people on board can be tricky. In this session, Sarah Haynes and Louise Jenkins from KPMG‘s Rewards and Employment Tax team will share their experiences of working with startups to multinationals. They will consider the common pitfalls, options for motivating employees and how to make the most of the available tax incentives as an employer. Register for a free place to learn more about ‘Building a great team’ at the Engine Shed briefing. Aimed at anyone who is looking to grow, improve and refine their websites’ online experiences and with this year’s promise of demonstrations of the latest technologies, insights from top entrepreneurs and success stories to give businesses a boost of inspiration, this is not something you’d want to miss. This year’s conference will be held at Bristol’s creative working quarter and venue, the Paintworks, on 20 October. And to top it all off, tickets are completely free! Grab your free ticket to eCommerce South West before they’re all gone! The Women’s Tech Hub was set up earlier this year to build better connections between women in Bristol and the South West, with the tech industry. This month they’re bringing together women’s tech group, Bristol Girl Geek Dinners with Ladies that UX – a group for women interested in user experience (UX) and web design for some talks and collaborative learning on UX. Join the Women’s Tech Hub to sign-up to the Girl Geek Dinners and Ladies that UX joint meetup. Today more women than ever before are making the decision to start a business and take control of their own destiny. And female entrepreneurs from around Britain are preparing to descend on Bristol this October for a day-long annual event aimed at helping women to build and grow businesses. With a line up to rival Glastonbury, the Festival of Female Entrepreneurs (#FFE16) is about offering a big cheer to entrepreneurs across Britain who are building a business and loving it. Tickets to the Festival of Female Entrepreneurs cost £49 each (or £10 for a ticket to the networking evening only). This month attendees will be joined for a talk by Director and Creator of open source HTML5 game development framework, Phaser. Check out the Bristol JS meetup group and join to sign-up for a place at their October meetup. KWMC: The Factory, brings together digital fabrication, cutting edge design and community-led enterprise and they’re having an open day for anyone who’d like to check out what they’re all about. For those with a keen interest in fashion and technology, there will also be an opportunity to try an ‘Introduction to e-textiles’ workshop, where you’ll learn how to a construct a simple stitched circuit using conductive thread, within a laser cut badge or bracelet. Anyone can pop along to the KWMC open day but you must register if you’d like a place at the ‘Introduction to e-textiles’ workshop. 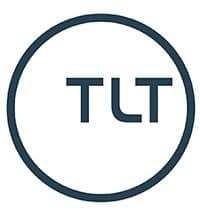 LoRaWAN is a low power radio network, based on The Things Network, for the Internet of Things (IoT) which will be rolled out across Bristol in the coming months. The meetup is aimed at anyone interested in using and contributing to the network. From nodes and sensors to gateways and all things IoT this brand new group is a great place to share your ideas and experiences. Join LoRaWAN Bristol for more information and to sign-up to their very first event! If you have an upcoming tech or creative event we haven’t mentioned in this list, tell us about it! And check out more events on our events calendar. If you want to stay in the loop with the best of tech news, events, jobs and more in the South West, sign up to the TechSPARK newsletter.